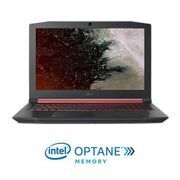 Where can I get a cheap gaming laptop? You can find a cheap gaming laptop from Amazon, AO.com, Medion, Ebuyer, Argos and more. Here is a list of the most recent gaming laptop deals found by our expert deal hunters. For example, the Dell Inspiron 7,000 or Alienware. These are the biggest price drops which you can enjoy to play the best PC games with good graphics and low latency. You may also be interested in looking at our cheap desktops and Windows 10 deals. Dell Inspiron 15 Gaming Laptop, Intel Core I5-7300HQ GeForce GTX 1050, 15.6"